After many years of development at the fringe of the Global Navigation Satellite System (GNSS) industry, dual-frequency GNSS devices are finally ready to hit the mass market and will account for more than a billion chipset shipments in 2023, according to a new market data report by ABI Research, a market-foresight advisory firm providing strategic guidance on the most compelling transformative technologies. The report finds that the bulk of this growth will come from the adoption in the smartphone market with consumers hungry for better location accuracy. Dual-band GNSS can mitigate the so-called multi-path interference effects which are especially present in areas with a high density of buildings, such as urban canyons, and deliver significantly higher accuracy than single-frequency devices. However, there have been several obstacles preventing widespread adoption of dual-band GNSS until now, including insufficient satellite coverage of a second band, which could be L2 or L5/E5, high chipset prices, and challenges in fitting these integrated circuits and related antennas into small devices such as smartphones. Furthermore, new breakthroughs from key chipset manufacturers are disrupting this market by overcoming the barriers to mass dual-frequency adoption. 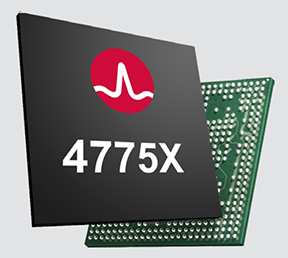 With Location-Based Services (LBS) applications in mind, Broadcom has released the BCM47755 dual-band location hub, claiming the system’s architecture achieves the synergistic benefits that cannot be reached by multiple Integrated Circuits (ICs), thereby reducing its overall size and power consumption. 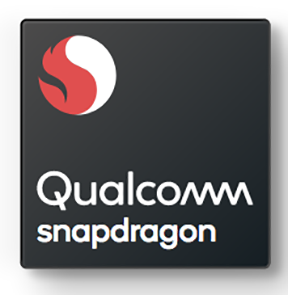 Other important players in this market have also come forward with dual-frequency solutions, including Qualcomm with the Snapdragon X24 LTE modem and HiSilicon with the Kirin 980 system-on-a-chip. Both attribute their superior energy efficiency and form factor to intelligent data processing and an industry-first FinFET transistor design. Other chipset manufacturers such as MediaTek are expected to follow suit and present their own dual-band products for LBS. At the end-consumer level, considering the handset market is the largest GNSS segment, accounting for 85% of all GNSS chipset shipments in 2018, the launch of the dual-frequency Xiaomi Mi 8, Xiaomi Mi Mix 3, and the Huawei Mate 20 following such breakthroughs in the chipset industry is a significant development because it opens a new lane of competition between smartphone manufacturers. It is expected that dual-frequency devices will dominate the high-end smartphone market in a matter of a few years, and by 2023 dual-band GNSS ICs will comprise 36% of total GNSS LBS IC shipments worldwide. In other significant markets for multi-frequency GNSS, such as surveying and automotive applications, triple-frequency chipsets are being released including STMicroelectronics’ TeseoAPP and u-blox’s F9. Adding a third frequency allows for better noise correction and higher accuracy compared to dual-frequency. ABI Research believes that triple-frequency devices will see, at least for now, a relatively shy adoption as manufacturers will need to justify the cost and overcome the power issues they tackled for dual-frequency devices. 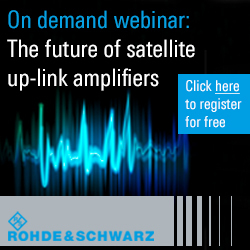 With full satellite operability of the main GNSS bands on the horizon and chipset manufacturers overcoming past hurdles for implementing dual-frequency solutions, it is likely a matter of time before most major companies in the segment scramble for a piece of this promising market. OEMs now need to show customers that dual-frequency GNSS can indeed deliver the accuracy they have promised so new location use cases can be sustained and introduced to the market. These findings are from ABI Research’s Outdoor/Wide Area Location Technologies market data report. This report is part of the company’s Location Technologies research service, which includes research, data, and Executive Foresights.